This wallet is made of superior vegetable cow leather in olive green color. 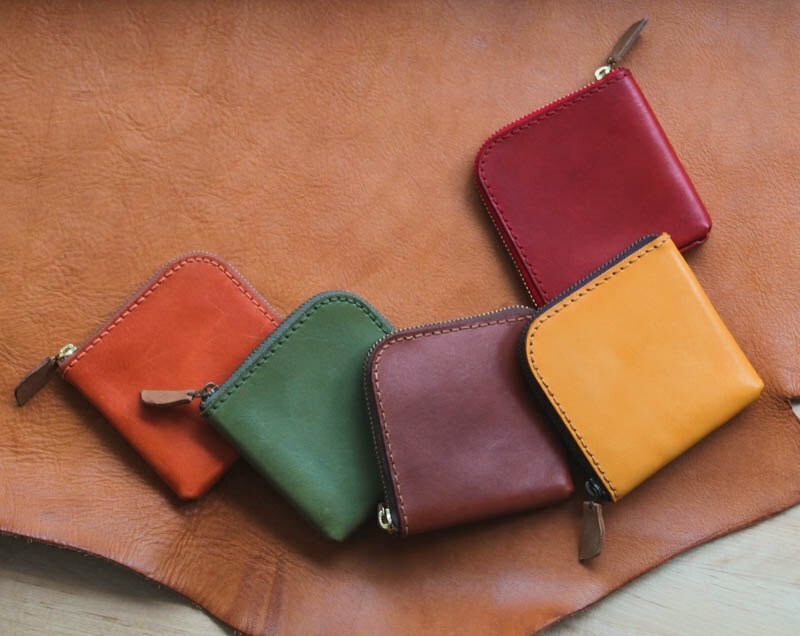 The leather is solid and not easily get deformed even if it's put in a bigger bag with other items, it provides you with flexibility of carrying your money, coins and cards. The leather is conditioned with neat's foot oil during the process. It also has the following feature: ● Completely hand-stitched, handcrafted ● Can be used for containing coin, bill, cards and other small items. ● Approximate dimension: 9.5 x 9.5 x 1.2 cm ● YKK zipper is used to ensure it's smooth and durable. All products are handmade in Taiwan, by our in-house designers.